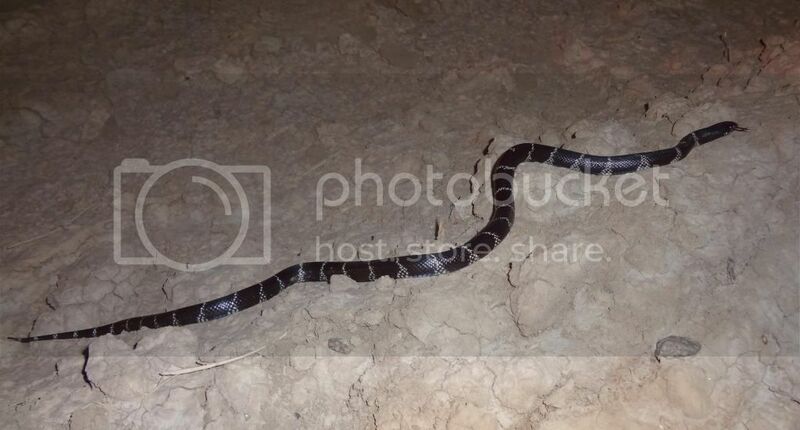 Yuma phase kingsnake, is mine pure? I live in Europe and I bought a Yuma Kingsnake, what do you think? They told me it comes from Yuma, what do you think looking at its pattern? Re: Yuma phase kingsnake, is mine pure? 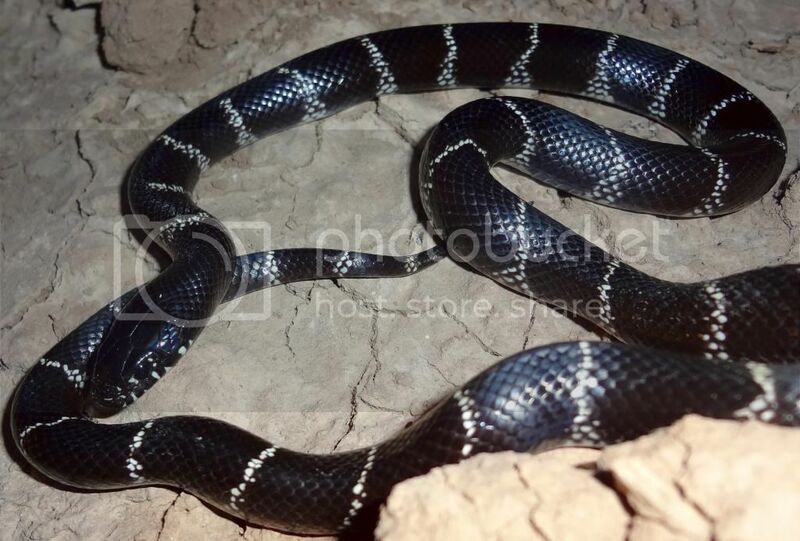 Looks like the typical "California Kingsnake" that I see in pet stores like PetSmart. So, unless the standard common phase is the "Yuma" phase, it wouldn't appear so. There's a rescue Cali King at work and we just got a yearling Cali King. The rescue is more white than cream, but the yearling looks the same except the pattern is cleaner. I'm not going into work until Tuesday, but I'll get some pics and put them up here. Though, from a good 'ol google search, it would appear that it is a Yuma phase Cali King. Daniel, did you buy Hubbs' book yet? Based on your pattern of inquiries here, I'm certain it will interest and gratify you. Jimi wrote: Daniel, did you buy Hubbs' book yet? Based on your pattern of inquiries here, I'm certain it will interest and gratify you. Both Mr Brian Hubbs and Ross Padilla hold keys to the kingdom. The Spidey and King Kong of Lampropeltis. They should have a mostly-black head, and thin white bands. Your snake looks as though it could be considered a Yuma morph, but perhaps it's not the best example. I've reached the guy who is keeping the grandparents of my snake, a dutch breeder named Jaap Kooji. He wild caought them not in Yuma, as the seller told me, but in the Phoenix area . He told me is a very rare locality and to tale care of it. EDIT: now he is saying: "it came from Phoenix but is called Yumanensis. Phoenix has a mix of Californiae and Splendida. This is clearly a pure Californiae. A very nice snake! I did not catch it myself but my friend Don Shores did." Im not going to try to make a call on your snakes locality identity its not my thing, and there are people here that are the best in the field at that, as stated earlier. But it all sounds pretty nebulous - not in a nefarious way, but unless you really know a guy or collect it yourself I wouldnt count on 'purity' of any cb snake just on standard of prudency. Im not really getting the rare locality factor but it sounds like player talk. If you were planning to breed it, pair it up with the same claimed locality I dont think you can bill the progeny as anything 'pure' and although herpetoculture is enamored currently with production and it is fun, if not being sure of the locality trip deflates the excitement somewhat of your acquisition, it doesnt have to be that way. You could perhaps reframe your possession of the specimen and set it up nice as a healthy, thriving gem - a testament to the beauty of its species. Delete hobby swells and wanes of interest, delete what other people value and enjoy the snake on its own merit. Having an intense interest in the area and habitat of a snake one is keeping is easy to appreciate. I hope you are successful in finding out as much as you can, I love it when a snake gets lucky with such focus. Share more in the future, it will be cool to see how youve set up the vivarium and other notes. I really want to follow up on your experience with this, I think the origin hunt and an owner super interested in his king is of great value to this section.